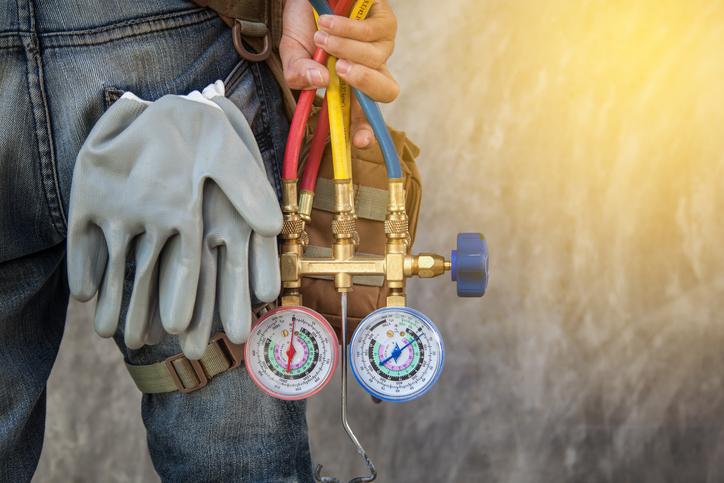 Location, clearance, condensate disposal, ducting, and compressor plumbing are the main items to consider during air compressor installation. Is your installation checklist as comprehensive as you’d like? While budget or time restrictions can inhibit your team from performing their ideal installation, this review in best practices can help improve your project situation. Creating a designated compressor room allows for better control of the compressor’s air quality in addition to ensuring the compressors are kept at the proper temperature through the use of HVAC or ventilation. While current compressors have been engineered to be much quieter than previous models, they can still produce a significant amount of noise. Placing compressed air equipment in a designated room helps to significantly reduce noise levels in employee work areas. This entry was posted in Industrial Air Compressors and tagged Air Compressor Installations. Bookmark the permalink.